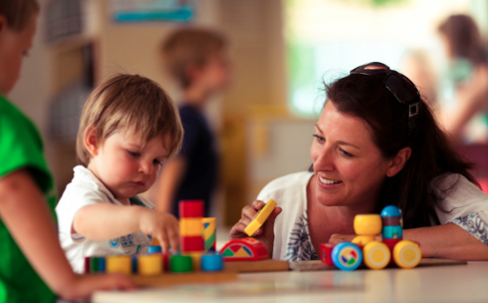 Playhouse offers occasional childcare services in a safe, family friendly environment. These services are for children aged 18 months to school age. Children are left in the care of qualified staff assisted by parents/guardians on duty. Held each weekday for children aged 18 months to school age. Families can choose between one or four permanent morning sessions a week (up to but not exceeding 15 hours per week and 5 hours per day). Members are on duty for approximately three sessions each term but can opt to pay additional fees (to cover the cost of a replacement staff member) if they prefer not to do duty. 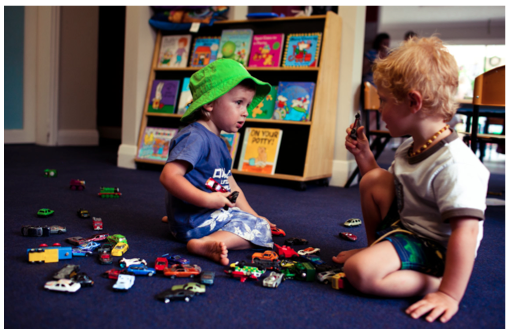 Held on Thursday from 1.15pm-4.00pm for children aged three years to school age. The afternoon position is a guaranteed place until 1.30pm after which time this position will be made available to other members. Parents are required to perform duty for approximately two sessions each term but, as with the morning sessions, can opt to pay additional fees if they prefer not to do duty. Members are required to help with several duty sessions each term to assist with the running of sessions. A roster system operates and the Duty Roster Secretary will schedule parents/carers according to your availability. Younger siblings are welcome to attend during your duty sessions. Duties include caring for and playing with the children, assisting with supervision of activities, assisting with morning/afternoon tea/lunch and with cleaning duties as designated by teaching staff. A “Working with Children” check must be processed prior to any duty being performed. This is a legal requirement. Parents who prefer not to do duty can opt to pay additional fees to cover the cost of a replacement staff member.